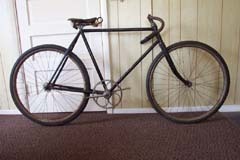 The Racycle was known for its large front sprocket and speed. 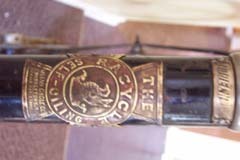 Racycle also had a few innovative designs, such as the crank bearings being mounted to the outside of the crank housing. 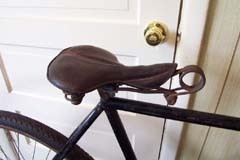 The Racycle may look fairly ordinary at first glance, but it had several unusual features. 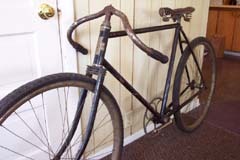 Adjustable handlebars and tripple crown fork are visible in this picture. 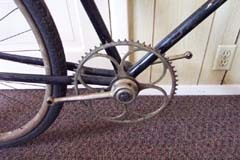 Trademark large sprocket with bearings that run external to the crank housing. 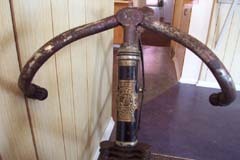 Adjustable handlebars allow rider to position them in any configuration they want.